Today’s 20-somethings are doing more than Netflix-and-chilling, they’re moving out of their folks’ places and living in tiny houses. There are several reasons why living in these little dwellings appeal to the Y Generation (and everyone else!). Read on for just a few. Post-9/11 Millennials came of age while America was at war, along with the biggest recession since the Great Depression. These factors, in addition to data breaches and revelation about government surveillance of citizens, has severely damaged young people’s trust in the government (although the same has sparked countless memes). With propane tanks and composting toilets, tiny homes make it possible for Millennials to go off grid and spend their time incognito. Rick Yanh, a venture capitalist, told Business Insider, “I think coming out of [the financial crisis], millennials have a massive distrust of existing financial services.” Tiny homes appeal to the concerns they’ve developed from the political and economical climate they grew up in. “Millennials don’t want to be tied down,” said Megan Smyth, CEO of FitReserve, an exercise boutique that doesn’t require a membership to take classes. “It’s a spontaneous demographic.” While they still spend money like older generations, it is more experience driven, going towards food, traveling, etc. Tiny homes are perfect for wanderlusty millennials who want to go wherever the insta-wind takes them. According to Jeff Fromm from Forbes, millennials “might not need the same space, permanence, and practicality” most Americans want from their housing. This is apparent as tiny homes trend with young folks. Most tiny home owners set their homes on a trailer frame to haul. With a rise in bean bag chair corporations and coffee shop offices (coffices? ), it is clear that millennials are loosening things up in corporate America. People can use tiny homes as home offices, in addition to homes for returning adult children. Though millennials have a reputation for being lazy, Psychologist Brenda Bauer, Psy.D. from Psychology Today says, “they work hard and feel strongly about wanting their work to be meaningful in ways that older generations typically do not insist upon.” With minimal ‘stuff’ to distract, people living in tiny houses can find more time and resources to focus on their work, aspirations, and hobbies. Minimalism allows time for what people really care about. At an average of 12 times less space than your typical home, it’s no wonder tiny houses require less maintenance. It probably gets dirtier quicker, but it’s also faster to clean up, and isn’t an issue if you’re fairly tidy. Heating and cooling in tiny houses, water, electrical, and waste are self-sustaining. Propane tanks and composting toilets virtually take care of themselves. With a tiny house gas heater or propane heating blanket in winter conditions, you have extra time, as well as security that everything will work the way it should when it gets cold outside. Millennials drive the new movement of ethical consumerism. They aim for social and fiscal responsibility, set in motion from growing up in a recession and national debt crisis. College debt is at an all time high at $1.5 trillion dollars, which has seriously damaged confidence in governmental institutions. Luckily however, 68% of tiny home owners have no mortgage, 65% have no credit card debt, and the average cost of a tiny house is much lower than the average home (around $23,000 USD). Reluctance to hinder global climate change by both the government and private sector frustrates many millennials. They see it as an astronomical problem being brushed under the proverbial rug for them to deal with. Many tiny homes use solar panels or propane, which is one of the cleanest burning fuels available. Winter conditions, though problematic to some, are easily solved with propane heating blankets. This ensures an efficient, safe, and warm winter! As previously mentioned, millennials have a deep desire to make a difference in the world. According to the author of “Fast Future,” David Burstein, millennials recognize that the difference they make might need to stem from innovation and creating new institutions within existing structures. For some, these structures are literal: tiny homes. -Taylor, Kate. “‘Psychologically Scarred’ Millennials Are Killing Countless Industries from Napkins to Applebee’s – Here Are the Businesses They like the Least.” Business Insider. October 31, 2017. Accessed November 01, 2018. https://www.businessinsider.com/millennials-are-killing-list-2017-8#casual-dining-chains-like-buffalo-wild-wings-and-applebees-1. -“Tiny House Infographic.” The Tiny Life. January 12, 2018. Accessed November 01, 2018. https://thetinylife.com/tiny-house-infographic/. -“Tiny House Statistics.” Restoring Simple. Accessed November 01, 2018. http://restoringsimple.com/tiny-house-statistics/. -“Why Do Millennials Get a Bad Rap?” Psychology Today. Accessed November 01, 2018. https://www.psychologytoday.com/us/blog/psychoanalysis-unplugged/201704/why-do-millennials-get-bad-rap. Winter weather amounts to dropping temperatures, and when the temperature drops, it affects more than just our willingness to go outside. It affects the products we use and store outdoors or in cold warehouses. One of the products commonly left to brave the weather on its own is propane. And when propane is left in the cold, it doesn’t work so well. Have you ever stopped to think about how cold weather affects your propane tanks? If you store them outside perhaps you’ve been concerned about why they perform less efficiently. Even if you store them inside, if the ambient air around them is too cold, it will still cause a decrease in efficiency and performance. The reason for this is illustrated in the picture below. It’s a simple matter of science. Think back to the physics classes you had in school. Do you remember what happens to liquids and gas when they get cold? (Water is the only exception we know of.) That’s right; they contract. And when propane contracts in your tank, it’s not a good thing. When the gas in your tank is at a nice toasty-warm level, the molecules that form the gas spread apart, increasing pressure and enabling your tank to push that pressurized gas out with efficient force and frequency. However, when the tank drops in temperature, those same molecules move closer together and drastically decrease tank pressure—in turn decreasing the performance of your tank. So what do you do to solve this problem? Well, you either keep your propane in a room that’s extremely hot year round, or else you go with the far more economical and sensible option. The Powerblanket® Propane Tank Heater offer a simple, economical, and highly efficient means for keeping your propane tanks from losing valuable pressure. Powerblanket simply has the best propane-tank-heating solution on the market. Our blankets enable you to maintain pressure and efficiency for almost any size and shape of propane tank. So don’t deal with unnecessary refills on your tanks during the winter. Get Powerblanket® Propane Tank Heaters, and let Mother Nature do her worst. Dropping temperatures can slow projects of all kinds. Many industries experience considerable lows during the winter months, but the railroad industry is one that must continue the same productivity year round—regardless of weather, and Powerblanket® helps them to do so. The railroad is an important industry for the American economy (and for many economies worldwide). When you consider how much freight passes through locomotives every year, you can account for a significant amount of the goods and supplies that many companies produce and utilize. With an impact like this in mind, Powerblanket® produces customized solutions designed to assist railroad companies in protecting their resources and ensuring operational continuity, which in turn will help with the economic influence for all involved. Sustainable Operations, and much more! Rail switches don’t like cold weather, and a railroad is only as good as its weakest switch. If it gets cold enough, and especially if there’s plenty of snow on the tracks, these switch points will freeze and their movement will be impaired. The solution to this comes by heating this switch points with propane. Due to its usefulness in this process, propane becomes a precious commodity during winter weather. However, with as precious as propane is to the railroad, the tanks are often left out in the cold, stored onsite, next to the switches. If left out to endure the cold long enough, low temperatures can cause the tank to lose pressure, at which point, propane depletion becomes inevitable. But Powerblanket solves this problem with our Propane Tank Heater—a revolutionary product that uses patented technology to deliver a uniform barrier of warmth over the entire service area. With this solution, railroad companies protect their switches and the propane stores that keep them heated when it’s needed. Have you ever noticed large propane tanks next to railroad tracks? If you work in the railroad industry you probably have, and you know that they are used to power track switches and track heaters. When the needle drops during the winter months, it doesn’t have much of an effect on trains. They keep moving along day after day, rain or shine, snow, sleet, or hail—cold or warm weather. In fact, it doesn’t pose much of a problem to the majority of the railroad itself either. However, there is one place where it does have a considerable effect. Switches don’t like cold weather, and a railroad is only as good as its weakest switch. 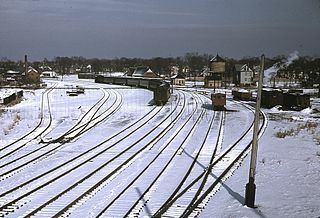 Switches are those transition points in a track that determine the direction a train will take. If it gets cold enough, and especially if there’s plenty of snow to cover the track, these switch points will freeze and their movement will be impaired. The industry standard for dealing with this problem is to heat the switch points in order to keep them from freezing. There are two ways to do this, either electronically or by using propane. Far more often than not, the railroad uses propane applicators to heat the track. However, while the track switches are undergoing their propane-induced thawing process, the onsite propane tanks are left out in the cold. When left out to endure the cold long enough, low temperatures will cause the tank to lose pressure and become useless. That’s why Powerblanket created the Propane Tank Heater—a revolutionary product that uses patented technology to deliver uniform barrier of warmth over the entire service area. Now the railroad can protect its switches and the propane stores that keep them heated when it’s needed. See how well the Propane Tank Heater works for yourself by downloading the white paper! When working with propane in the winter months, it’s important to maintain tank pressure. Cold weather can can be devastating to a depleting propane tank. This is because pressure is maximized by fluid levels and temperature. This means the tank needs to be close to full or the temperature needs to be warm. When one or both decrease, so does the pressure of your propane. There are ways of heating the tank that can prevent the pressure from dropping. Most of these methods are really dangerous with an extreme risk of fires or explosions. Propane is a flammable gas and should never be heated with open flames or an uncontrollable heating source. Whatever method you choose to heat your propane tank, safety should be a top priority. Effectiveness should also be a deciding factor. I recommend using a safe, temperature controlled heating blanket. Powerblanket propane tank heating blankets are the safest and most effective way of maintaining propane pressure during cold winter months. With an insulated heating blanket you have the ability to control the temperature and pressure of the propane tank safely and easily. You can plug the blanket in and walk away from it knowing that your propane tank, your house or your job site are all safe and functioning. Powerblanket, propane tank heating blankets provide the combined benefits of heat energy generation, heat retention, insulation and even distribution. As one would imagine these challenges are compounded by the fact that during extreme cold conditions the demand is typically at its peak. Being aware of the challenges that affect propane tank performance allows you to take the necessary precautions to ensure optimum performance and reduce downtime or project delays. Powerblanket propane tank heating blankets are an ideal solution to problems caused by extreme environmental conditions. While it may be physically impossible to replace the lost heat energy in the atmosphere itself, it is possible to provide heat to the tank or vessel to minimize the loss of pressure within the tank. This in turn can improve the vaporization rate and thus the efficiency factor. This becomes more important when using tanks of greater size and capacity. It’s been proven that only the portion of the tank that comes in direct contact with the liquid has the capacity to transfer heat. That can be quite costly, as it results in having to keep the propane levels almost full most of all the time. Unless you’re able to control moisture and thus frost build up on the exterior of the tank. Using Powerblanket propane tank heaters results in a cost-savings benefit that minimizes tank fills while improving propane utilization. 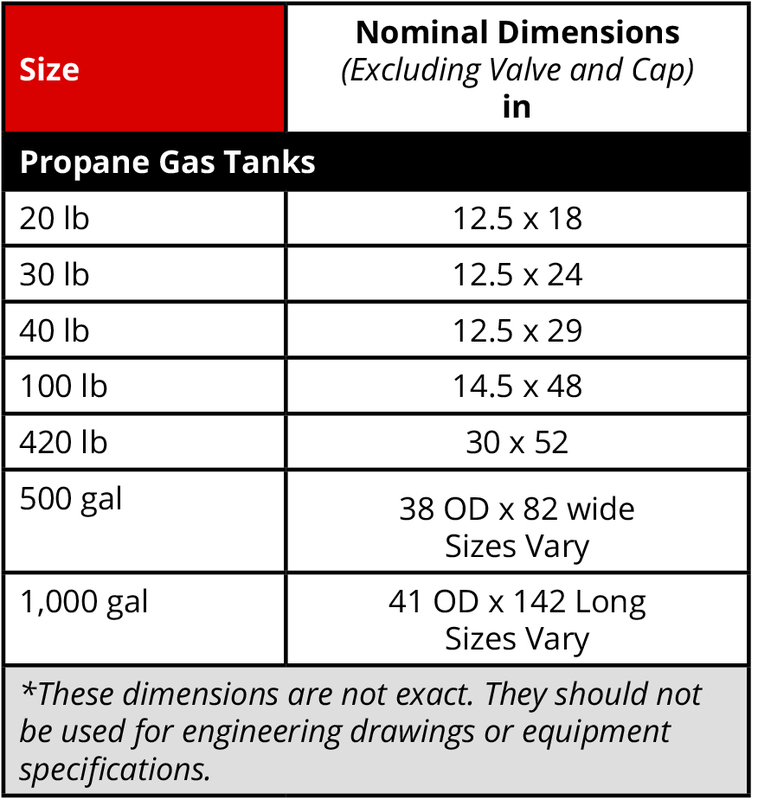 Propane tanks can come in various sizes and configurations. For this reason Powerblanket not only offers heating solutions for standard sized propane tanks but also the ability to produce custom heaters for propane tanks of any size. When your cold weather applications require innovate heating solutions for propane tanks, think of Powerblanket. Do Railroad Operations Benefit from Heating Solutions? Railroad operations, like other industries, need to be prepared with heating solutions from the effects of seasonal climate change. The diversified winter patterns that include snow, ice, wind, storms, and temperature fluctuation can all influence effective operations. While other applications need to be addressed, these are a few of the more obvious. Each of these areas has their own specialized equipment needs, but both take heating solutions into account when addressing the challenges of winter weather. For example, products such as greases, lubricants, and chemicals used in day-to-day maintenance can pose an application problem. These products are usually stored in drums, pails, totes, or large tank. The viscosity due to cold climate may restrict their use, thus delaying the maintenance process. Heating these products prior to application prevents downtime. Prevention of downtime in turn saves money and keeps operations on schedule. Do railway operations benefit from effective heating solutions? We at Powerblanket believe our heating products are an integral part of keeping America’s rail network running. Contact us at 888.316.6324 or [email protected] to get in touch with our railroad heating products specialists.